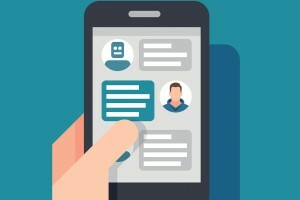 Instant messaging and chatbots are probably among the fastest-growing trends, and one of the most powerful tools for marketers today. On the other hand, Facebook is running as one of the most popular channels to engage users, but not all are rainbows when it comes to Messenger marketing, which causes alternatives to prevail. It’s a fact: Instant Messaging and chatbots are set to become the main communication channels in the next few years. Every new marketing channel that opens represents a huge opportunity for you to exploit and leapfrog your competitors, enjoy incredibly low CPCs, and experiment with different ways of reaching out and connecting with your clients. A chatbot is an automated alternative to live chat. Its use can enhance the customer experience on your site, as a chatbot can easily assist visitors or customers by answering simple questions. It can also direct them to the correct web page. Best of all, a chatbot can function 24/7. This will improve your odds of conversions, as visitors won’t have to wait long for a response to their queries. It also saves you and your team from having to answer the same fundamental questions every day. If you run an e-commerce website, you know just how important your sales performance is to the success of your business. One way to improve this performance and increase your profits is via careful analysis. Carrying out regular analysis of your website and other marketing efforts will help you identify weak points in your strategy, which then enables you to improve them. The way visitors search your website’s content is important, since it determines whether they find what they’re looking for. This is why the use of various search types—such as visual and voice—are recommended to improve your UX. Both of these search options are used extensively on larger websites, but work well on smaller sites too. Visual search offers users a unique way to browse your website, and this is especially useful for e-commerce sites. Voice search, on the other hand, is a perfect way to improve your site’s mobile friendliness. Even better, both of these search types can incorporate artificial intelligence in order to improve their functionality. Using a chatbot, you can drop a link to your website where a conversion can be completed, be it a sign-up, subscription, or purchase. Because you can automate each of the tactics described here, build them once and let your bot do the heavy lifting for you, freeing up valuable time and human resources to function on selling and doing well in your actual business. This entry was posted in AI, Chatbots, Website Traffic. Bookmark the permalink.